The following interview is with SMU student, Andrew Burgess. Burgess, and collaborators, are creating a new web-based platform to change how (and how much) musicians get paid online. Hi, Andrew. As an Arts Entrepreneurship minor, where in your process are you? A: I have completed four of the six classes required to complete the major and have loved all of them. A: I’m currently a Junior, graduating in May of 2016. What all are you studying? A: I’m an Advertising major in the Creative track and an Arts Entrepreneurship minor. I’ve loved having the combination of creative thinking classes and entrepreneurial classes because it has taught me how to filter out the good ideas from the bad, and then make a plan for how to execute the good ones. Can you please describe your startup Echo (working title of Tune Tornado)? A: The music industry’s model is broken because, with streaming websites and illegal downloads, artists can’t make enough money to keep making the music we love. The streaming model is great for listeners because it allows them to listen to music for free, but it’s awful for musicians because they are making little to no return on their songs. Echo solves this by financially incentivizing listeners to purchase and share music, rather than just stream it for free. In our model when you buy a song, and then get a friend to buy it, you make a percentage of the money that your friend spent on that song. The network marketing model continues at a decreasing rate of return for 6 levels of referrals (up to 10 referrals per person per level). Essentially, you can get paid to find and share music if you buy it instead of just listening for free. Our unique referral system, along with artist-specific subscriptions that provide exclusive content, should be enough to get people interested in purchasing music again. We believe that if listeners are able to make money for finding new music, while giving artists more royalties than any other service, we can revitalize a broken music industry. 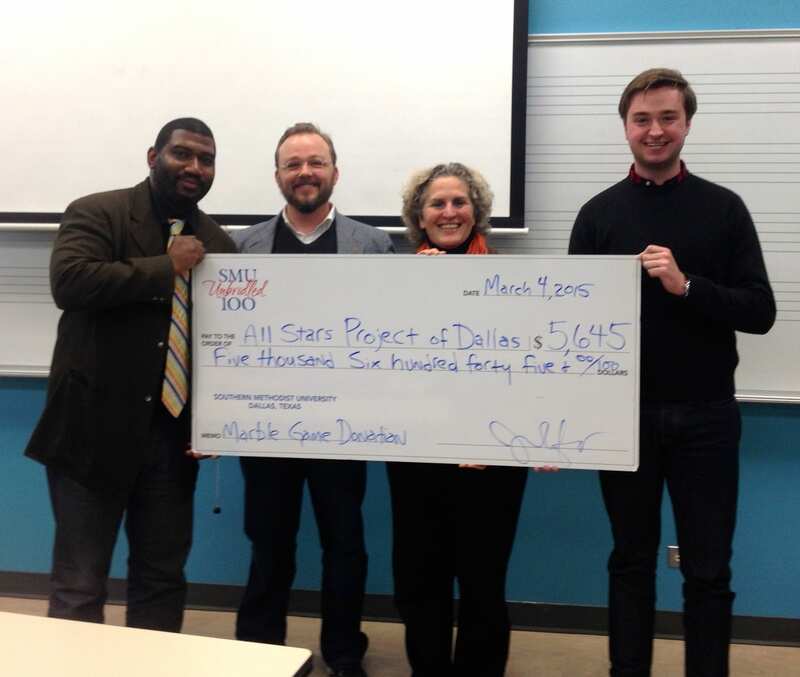 My partners (both SMU students) Santiago Martinez and Wade Washmon are hard at work in the Dallas community trying to bring in artists to be part of the initial team that launches the service. Hopefully, Echo’s model will prove that listeners and musicians can both be happy with payouts while making and enjoying the music that we all love. A: We are currently in a prelaunch phase, finishing up web design and programming. We have a test/beta website up at tunetornado.com for those who would like to check it out. What role have our classes played in the development of your concept? When did you come up with the idea? What was that process? The Arts Entrepreneurship classes have been a huge help in getting our service developed. They have taught me how to write a business plan, attract funding from investors, create a pitch deck, develop accurate financials, and pitch a new business to investors and consumers alike. I credit the program with giving me all of the direction I need to start and run my own business. Jim Hart and Trey Bowles have each given me a unique perspective on what it takes to actually create a venture on your own. The curriculum itself has been fantastic (we’re reading the same book that they do in MIT‘s entrepreneurship classes), but what really sets the program apart are the professors. They offer the right balance of inspiration and realism, which is what I have come to believe is the crucial element in the culture of any incubator. Andrew, you and your team won some startup funds from BigiDeas this past year. Can you tell us about that? BigiDeas is awesome! We needed some money to get our logo designed and some wireframes done, so we applied to get some funding from the BigiDeas program at SMU. We presented our business and were awarded $1,000 from the school that allowed us to hire a graphic designer. It ended up being a huge help in getting our idea off of the ground and we couldn’t be more grateful that the school provides opportunities like this for aspiring entrepreneurs. Andrew Burgess is a student at SMU, Meadows School of the Arts and is currently studying Advertising in the Creative track and an Arts Entrepreneurship minor. 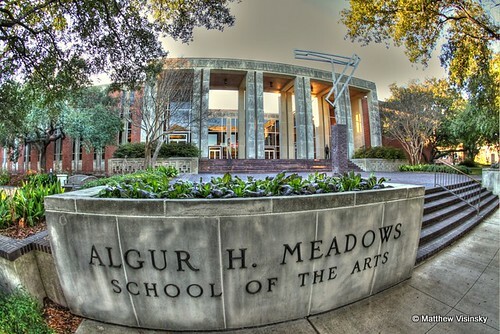 This entry was posted in Arts Entrepreneurship, Interviews, Student Success and tagged andrew burgess, arts entrepreneurship, entrepreneurship in the arts, Meadows School of the Arts, Santiago Martinez, SMU, tune tornado, Wade Washmon. Bookmark the permalink.